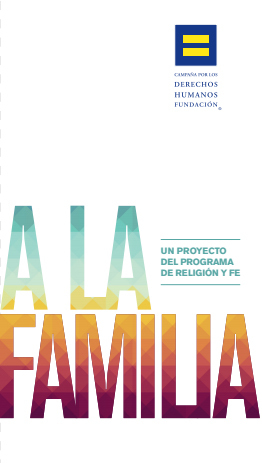 All A La Familia trainings are conducted with the support of and in cooperation with local organizations and congregations. Our new short film, Before God: We Are All Family is a film that explores the experiences of LGBTQ people of deep faith -- who have been told there is no place for them in their church of origin -- and the experiences of their parents and siblings -- who have been cruelly asked to choose between su familia y su relgión. See the preview below.